This year the Stand Up Art collective has brought together some of the most talented scratch DJs on earth in celebration of music and DJ culture. Saturday Nov 17th, the MC Bat Commander, Christian Jacobs will be signing papertoys by Toygami at 1PM. 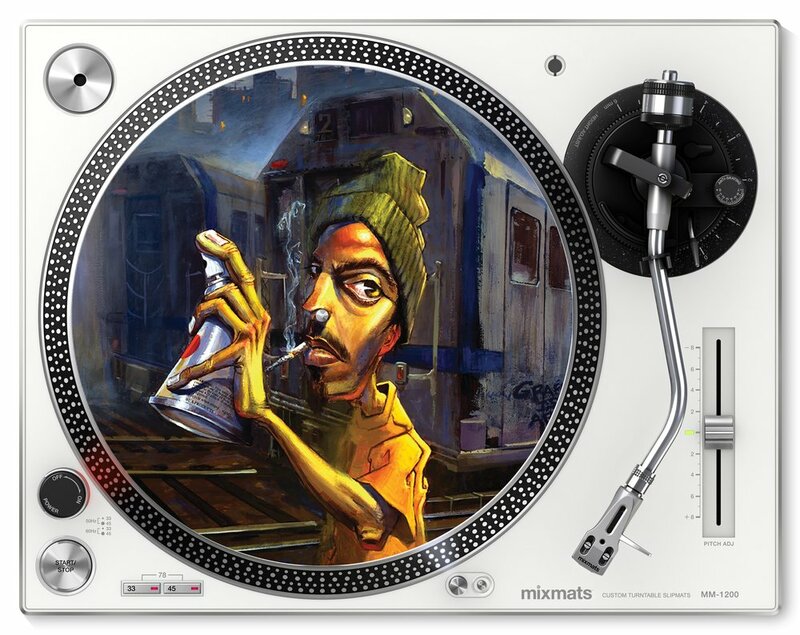 Then at 4PM, BUA will be signing an exclusive release with guest artists DJ QBERT & DJ REVOLUTION. Sunday Nov 18th at 3PM, DJ QBERT will be signing Dcon exclusive Stand Up Art collectible posters by Jerome Lu. DJs IQ and Eri will be warming things up as well with Toquon Tha MC. The booth will also include Kendra Thomas, Baykiddead and All City Style. A Zero dB Silent Disco will have headphones you can rent to listen to music, and a live feed to the booth from anywhere in the convention hall. A silent dance floor will also be featured with supporting DJs including DJ Lex, DrMindbender and the Baby Deejays.